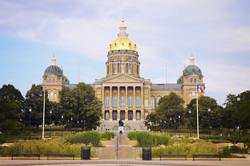 All independent Community banks within the boundaries of the state of Iowa are eligible to be members of Community Bankers of Iowa upon approval by the board of directors and payment of such dues as may from time to time be prescribed. All applications for membership are subject to the final approval of the board of directors. Establish and operate branches within Iowa according to the branching laws applicable to commercial banks. ​For additional membership information please contact us at 515-453-1495 or via email at cbia@cbiaonline.org. The volunteer leadership of CBI is engaged and active and enthusiastically looks for opportunities to improve CBI and its value to the membership. The association’s success is brought about by its committee members who provide a dynamic structure and by the board which provides guidance and direction. The vast majority of members take a very active role in the association’s programs and activities. Bankers are invited to participate on any of the following committees and have a voice in the direction the association takes: Legislation, Education, Events, Economic Development, Marketing/Membership, and Convention. CBI is the Iowa association that was in the vanguard stopping Wal-Mart’s quest for an industrial loan company charter. CBI was instrumental in proposing Iowa’s wind energy tax credit bill. This bill makes tax credits available to state banks that invest in wind energy projects and helps banks support their communities needs. CBI is concentrating on an approach to improving economic development in addition to our normal legislative lobbying and monitoring program. The association was instrumental in the original passage of the Iowa Loan and Credit Guaranty Fund. Subsequently, CBI has developed an Economic Task Force suggesting changes to make the program more effective and efficient. It is CBI’s premise that any time the association and its members can find ways for Iowa’s community banks to actively participate in the improvement of the economic environment of our communities, we must create and pursue those opportunities as part of our mandate. CBI maintains and promotes its own state political action committee which exists to support political candidates in the legislative and executive branches of state government. CBI hosts a large number of seminars throughout each year designed specifically for community bankers. These seminars may occur in classroom settings across the state or via the internet as a webinar. 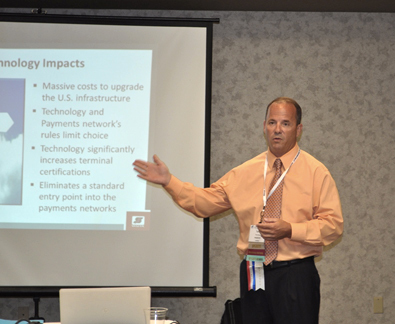 Almost every aspect of banking is covered each year, including seminars in the areas of lending, lending compliance, bank operations, operations compliance, information technology, product offerings, security, director training, and other areas targeting the most experienced to the least experienced independent banker. Member banks receive discounted pricing on all professional development offerings. This dynamic group of community banks’ future leaders meets on a quarterly basis. Each meeting serves to provide a well-rounded learning experience. 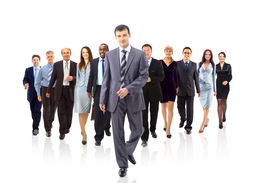 The group is a diverse cross-section including compliance officers, CFOs, lenders, HR, IT, and middle management. Speakers and topics selected by the bankers are chosen specifically with the thought of familiarizing members with all aspects of banking. Group membership is open to all with the exception of CEOs and the front line. Each Spring the group holds its annual conference bringing in speakers from throughout the country. At CBI's Management Conference and Annual Convention, the group also presents two $1,000 scholarships to two High School seniors who have a parent that works at a CBI member bank. They also recognize one of their peers with the Up and Coming Banker of the Year Award. 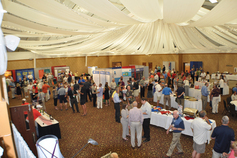 Once simply a relaxing networking gathering, the convention has evolved over the years to focus on education. Each year the Convention Committee brings in some of the highest caliber speakers from throughout the United States. The committee is comprised entirely of bankers who select speaker topics and plan the entire event. It is at the convention where the prestigious Robert D. Dixon Founders’ Award is presented each year. Community Bankers Services and Insurance provides exclusive CBSI-member pricing on a wide range of products and services. Its endorsed service providers undergo a rigorous due-diligence process and are ultimately chosen by a panel of community bankers. By leveraging the collective bargaining and purchasing power of community bankers across the state, CBSI has negotiated impressive cost savings and premium services for member banks. For additional membership information please contact Jackie Haley at 515-453-1495 or via email jhaley@cbiaonline.org.